(1959 'Bluesville 1003) (39:50/12) w/ WALLY RICHARDSON -gtr, AL ASHBY - ten, GUS JOHNSON - drums. 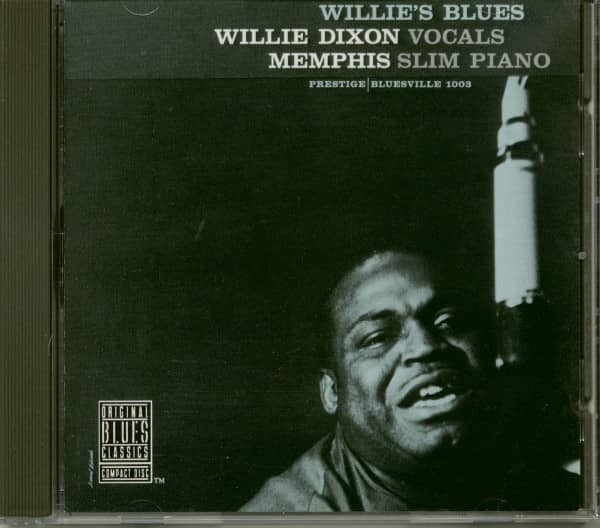 Willie Dixon, born in Vicksburg, Mississippi on April 1, 1915, made a contribution to postwar urban blues which stands as a major and energising force that subsequently laid the basic foundations for the popular music of today. In his combined roles as composer-producer-studio bassist-A&R man for Chess records in the Fifties and Sixties, he was res-ponsible for hit recordings by Muddy Waters, Chuck Berry, Bo Diddley, Howlin' Wolf, Little Walter, Sonny Boy Wil-liamson, Buddy Guy, Otis Rush and others. His com-positions include Iloochie Coochie Man', 'My Babe', `Spoonful', 'You Shook Me', 'Whole Lotta Love', 'I Just Want To Make Love To You', 'Little Red Rooster' and `Seventh Son'. Dixon's songs have been recorded by such contemporary rock artists as the Rolling Stones, Led Zeppelin, Ten Years After, Jeff Beck, Savoy Brown, the Animals and the Spencer Davis Group. 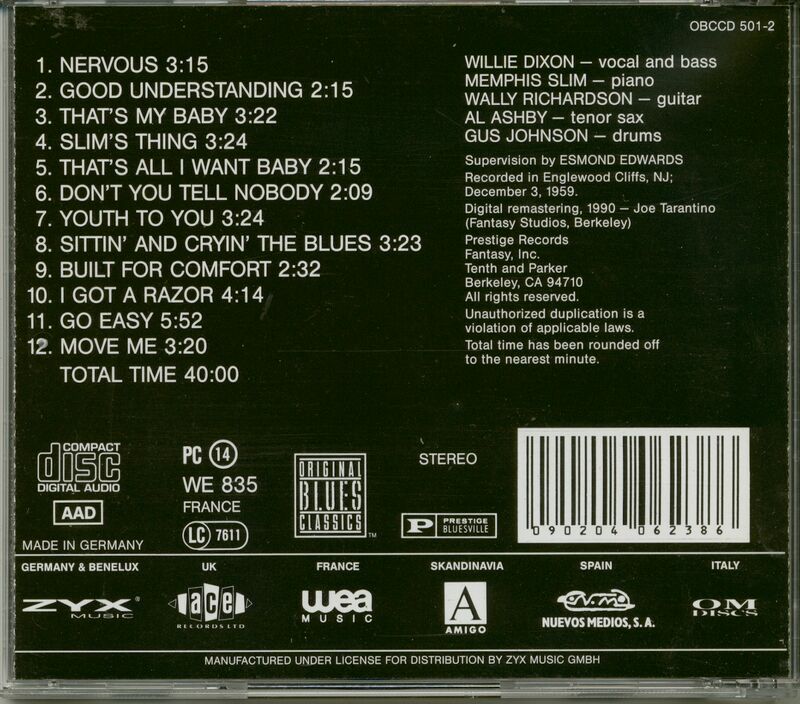 Customer evaluation for "Willie's Blues (CD)"